I prepared a small suitcase, took the glasses, wallet and a little money, and decided to give myself a little break and go on a trip to Ohrid. I entered in the bus and departed at 11:00 am from Skopje. It was warmer than usual, but knowing that I would quickly arrive in Ohrid, I only tried to focus on it. It was a busy traffic, which made our trip lasts approximately 3 and a half hours. I settled myself at the hotel near the bus station, but then quickly left. 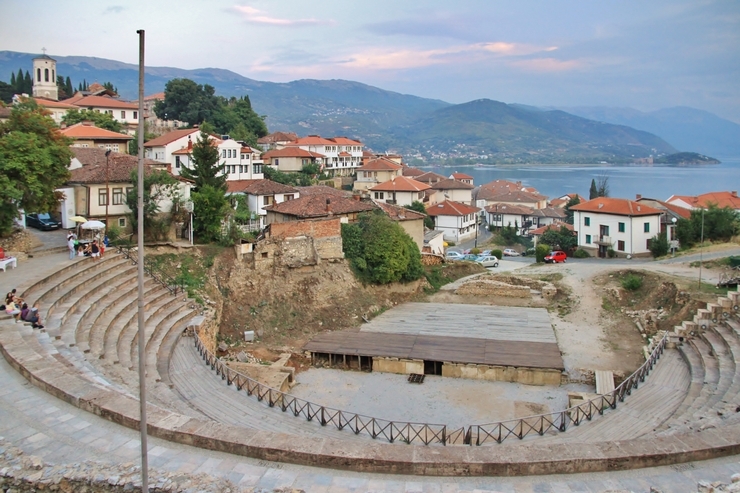 I did not want to spend a minute longer without going to see everything that people talk about Ohrid. First I went to Samoil's Fortress. It was a bit hard to climb, but it was worth it. Fantastic view of the whole Ohrid and the lake, is a paradise for the eyes. I went back to town to continue „searching“. There was a group of people who wanted to visit Monastery of St. Naum, so we all started together. 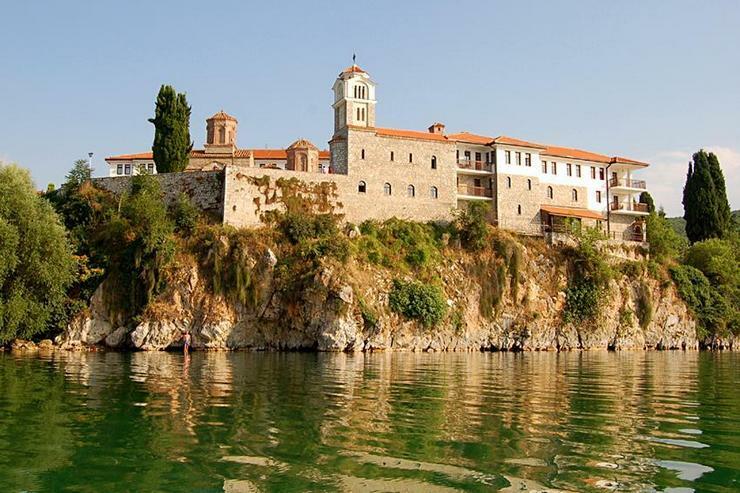 St. Naum is located in the border with Albania. We continued to visit the park, beach, the river „Crni Drim“ that flows into Ohrid Lake ... We rented a boat for a ride on the lake, eat, took pictures, enjoyed, and some even gathered courage for swimming in the lake. The nature is fantastic, unreal, the peacocks walked around us, the ducks swam in the river. As the darkness began to descend to the ground, we had to return. 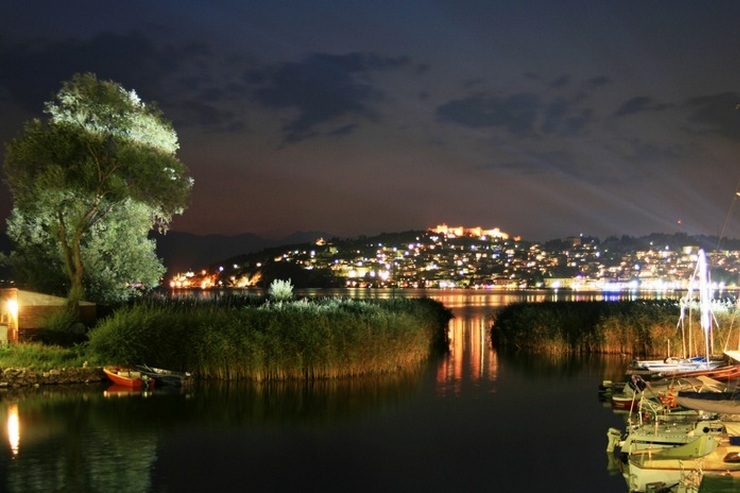 Although it was night, Ohrid did not lose its beauty. I walked around the town, I felt happy. Simply, this city gave me the strength I lost because of stress and too much work. The day after, although I did not have much time, I continued my visit in this town. This time I decided to visit Antique Theater. I learned quickly about the history of this place; I was told that it originated in the 2nd century B.C., but until 1935 it was not found; then in the 1960s, excavations continued, and finally completely discovered and edited in 2001. Today it is used as an open stage for performances, concerts and similar purposes. Then I visited the city market, where I did not stay for so long. I quickly returned to the hotel, took things, and, to be honest, it was a bit sad that I had to return so quickly to the "real world". At 17:00 I entered to the bus to return to Skopje again. It was a short trip, but it was worth it!